“You were born to be real, not perfect." With so many things going on in life we can often feel like we are constantly missing the mark. During these times we need extra support and guidance in a judgement free environment to discover what really matters to you. I am a Licensed Professional Counselor with 15+ years experience working with individuals, couples, teens, and families. I enjoy providing various forms of therapy and watching individuals grow stronger while working on their personal goals. 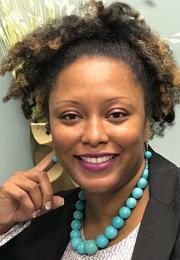 Nzinga Cates is a Nationally Certified Counselor, a Licensed Professional Counselor and is the sole Owner of Cates Counseling and Consulting PLLC. She is a native of Erie, Pennsylvania. She graduated from Edinboro University with a bachelor’s degree in social work. She later received her master’s degree in community counseling, from the same school in 2009. Nzinga has been providing mental health services, in many settings for 17+ years now with a specialty in narcissistic abuse. Nzinga provides a wide array of services ranging from anger management, couples counseling, and self-esteem to individual therapy and family therapy. Also included are services for marriage and women’s issues. Other services provided are anxiety, grief and loss, parenting skills, sexual perpetration/victim awareness, and abuse-sexual, physical and emotional. She also utilizes cognitive behavioral and reality therapy with a dose of TLC to provide effective therapeutic services.